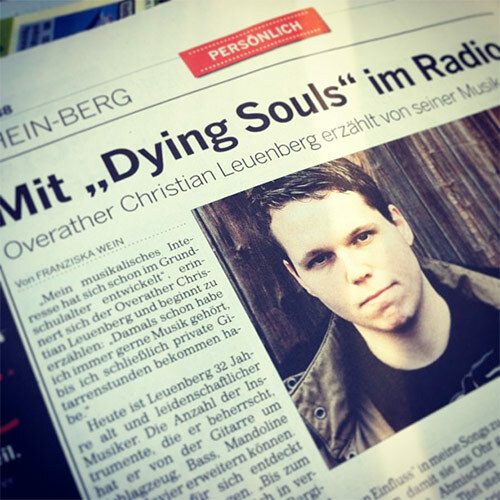 My radio performance helped my to get a detailed article in today’s edition of “Bergische Rundschau”, a local newspaper at my home town. In a telephone interview I was asked several questions by the editorship a few days ago. It was about my musical “career”, my current music as well as the upcoming EP release and of course the radio appearance recently on WDR 2.